Each year the Arizona Interscholastic Association recognizes outstanding Arizona high school students, teachers, coaches, administrators and schools for outstanding achievements, on and off the field, and exemplifying trustworthiness, respect, responsibility, fairness, caring and citizenship. Eleanor has proven to be an exemplary student in the sense that she is graduating with a 5.38 weighted GPA and ranked number one of 317 in her class. She has taken every honors core class offered at Buckeye Union High School, has been accepted to the International Baccalaureate Program (IB) and has taken seven IB classes a year for the last two years. Eleanor is a three sport varsity athlete for the school. In addition to swim, basketball and tennis, she is also a member of the National Honors Society, Student Council and Culture Club at BUHS. She was also chosen as the delegate for Buckeye Union to attend girls' state. Outside of school, Eleanor is heavily involved in her church and youth group. Her time management and dedication skills surpass those of her peers by far. Through school groups, her church group and on her own, Eleanor makes a habit of giving back to the community through various community service projects. Although Eleanor is very reserved, she is amazingly smart, friendly, loyal and intrinsically motivated. Eleanor puts much pride into being a state tennis champion as she does her ranking number one in her class. She shows the importantce to others that beinga student before an athlete makes her a better student-athlete. Not only is she a great student who has proven to be a role model for other students, but she is an amazing person as well. Eleanor understands that hard work and persistent are keys in her future. 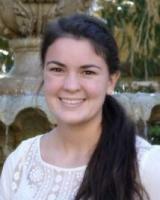 Eleanor plans to attend the University of Arizona and will prusue a degree in nursing. She also hopes to participate in tennis while at the U of A.
Simon has been an exemplary leader at Mesquite both in academics and athletics throught his four years. Frm the beginning of his freshman year, Simon exhibited a desire to get ahead in his classes by taking a rigorous course load. Simon graduated with a 4.0 GPA standing number two in his class of over 500 students. Outside of the classroom Simon joined the tennis team freshman year and was a varsity member all four years. He was essential to the growth of the tennis team at Mesquite, encouraging his peers to join, even if they did not have prior tennis experience. His commitment to the sport can be seen all year round as he is out on the cour daily practicing or coaching his peers. Not only has Simon been succesful on the court he has also excelled in both music and speech and debate. 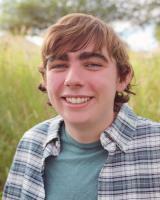 Simon is a member of the National Honor Socitey, Ecology Club, and the Math and Science Club. He serves as a coach for the underclassman on the speech and debate team and as the President of ADL's A WORLD OF DIFFERENCE. During his senior year, he founded the Aspire Mesquite Club where he helps his fellow students by providing information on how to raise their ACT and SAT scores. In conjuction with the Aspire Mesquite club, he has organized a student run library that provides all students with the opportunity to access the preparatory materials necessary for success on standarized tests. Simon has a great interest in solar engineering and plans on developing things to help harvest the power of the sun. He has already invented a solar powered tennis ball machine that is able to serve up several types of shots. Simon's future plans include attending a major university and becoming an electircal engineer. Pat Weber graduated with a Bachelor of Arts Degree in Mathematics from Wabash College before beginning his career at the high school and college teaching levels. Pat began teaching mathematics at Pima Community College and Baboquivari High School in 1976. 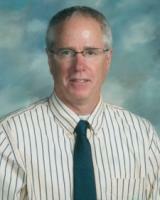 In 1986 Pat, started his career at Flowing Wells High School, where he has resided ever since. Starting as a teacher he then became the Athletic Director in 2004 and has continued to hold that position today. Not only has Pat been involed in the athletic development at Flowing Wells he has also taken much interest in the academic development. He has developed the curriculum for the computer science courses, web page design courses and has maintained the first web page for Flowing Wells. Pat has recieved many honors throughtout the years for teaching and coaching. His 12 years as an administrator at Flowing Wells has proven his dedication and strive for success. Grant has been a baseball coach at Desert Christian High School for 16 years. He was made the head coach in 2007 after serving as the assistant coach since 2001. After taking on a team full of challenges, Grant and the Desert Christian staff began to incorporate the "Character Matters" program. This program helped Grant and his assistant coaches implement character development with their players. Coach Hopkins took on the challenges of his team and used this program to it's fullest in order to benefit his team. Coach Hopkins, along with the support of the school and the vision of several players, parents and coaches, a new home field was built in the fall of 2011. Current and former players helped gather materials to transform a desert area into one of the best baseball fields in the city. The field hosted it's first game February 29, 2012. Grant lead the team to their first State Championship in 2013. Midway through the 2014 season, Grant and his team were thrown an unexpected challenge with the passing of an assistant coach. The team faught through the grief and uncertainty and rallied on to win their second consecutive State Championship. Regardless of what has been thrown at Grant and his players - they continued to push forward. Grant has been an integral part of the success of the baseball program at Desert Christian High School. Grant has helped young men graduate who have learned to play the agme with honor and respect, young men who have learned invaluable lessons about life and death and young men who represent the values of Desert Christian. 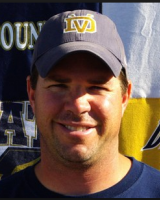 Chris has been a member of the Desert Vista coaching staff since 1996. He contiues to make postive contributions in all facets of his coaching career at Desert Vista High School. His leadership style is one of serving his athletes and modeling what it means to be a motivator, mentor and leader. Chris does not shy away from challenges and has always demonstrated a desire to assit student athletes and calleagues. His leadership abilities have been observed in his daily interatctions within his team and as a contributor to the overall DVHS athletic program. Even with all the success of his teams Chris continues to trive to make his programs better. He takes his student athletes to the next level athletically, mentally and emotionally. Nike ranked the 2007 and 2008 boys' track & field team number one in the nation. Chris has led his teams to 12 state championships and 10 state runner up finishes. His teams have earned 25 Region Championships as well. The boys' cross country team are the 2014 and 2015 back to back state champions. Also, the boy's track team is the defending 2015 state champion. Not only is Chris a large part of the success at Desert Vista he is a physical education teacher at the middle school, Kyrene Akimal. He has been at Akimal since 1992 and has coached cross country and track at the middle school since the inception of Akimal. When he is not coaching, Chris sponors the Fellowship of Christian Athlete Club at the middle school. In the classroom, Rachel would always strive and achieve excellence. Her 4.0 GPA evidences this. She has taken most of the challenging courses offered at Arizona Lutheran Academy. As a studen she knows keen insight and critical thinking abailities. She finished with one of the top three GPA's for girls and was considered for class speaker. Her activities while at ALA are almost too numerous to mention. She has been a three-sport athlete ever year and has recieved numerous awards for her atheltic abilities. She has participated in both plays and musicals at ALA, as well. She has particiapted in Student Council for multiple years, and was elected as the student boy secretary her senior year. Rachel breaks down barriers by showing that ahtletse can be smart and can be great at singing and acting. Her works as an actress and singer in the plays and musicals is extremely impressive. Arizona Lutheran is built around participation and Rachel shows that it can be done. Rachel makes others feel valued. She strives to use her God-given talents to te best of her ability. 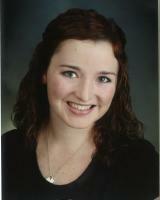 Rachel is also a member of the A Capella Choir and was selected as a section leader as well as holding a soloist role. Her signing ability has helped earn her a vocal scholarship to Wisconsin Lutheran College. Her accomplishments speak for themselves but Rachel's vibrant and enthusiastic personality truly represents Arizona Lutheran in excellent ways. Rachel plans to attend Wisconsin Lutheran College to pursue a degree in music education (choral and instrumental). Jack Martin has a great intellect and has proven to show exceptional courage in pursuing life experiences outside of his comfort zone. He is trustworthy in all areas academic and social, that he is asked to participate in. 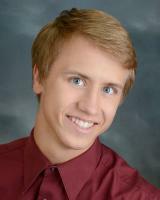 Jack is naturally a shy young man who has blossomed in the rich theater arts community at Desert Christian High School in both signing and dramatics. He is a vibrant contibutor to student council spending hours outside of school to create opportunities for the student body to be enganged in the school culture in areas like award winning Shakespeare Competition, National Thespian Society and most recently planned and executed a school mission trip to Haiti. Jack holds a 4.0 GPA while coninute to give his time and efforts to much more than just acadmics. He was named a National Merit Finalist which proves his brilliant mind and work ethic that has and will continue to place him above most his age. According to Jack's guidance counselor he has a "quite" way about him, but his actions and caracter speak very loud. His on stage characters help show his ability to step out of his comfort zone and stretch himself in the midst of his strenuous academics. During his senior year Jack took risks in leadership, embraced feeling out of control in the face of adversity, and became transparent to adult leadership all while he wrestled with his hears and doubts. He grew tremendously this year as a young man of prinicpal and honor. Jack plans to attend the University of Oklahoma and hopes to study writing. Marissa is an outstanding athlete and a great asset to the varsity cheer squad. She has been a member of the squad since her sophomore year and has made a positive impact on so many of the other girls. She serves as a leader and role model to everyone on the team, yet always strives to continue to improve herself. Marissa has represented the team in the past two state competitions, competing in the All-Girl Stunt category and has helped the team plaace in the top five both years. Her teammates named her as the winner of the "Pursuing Victory with Honor" award because she is not only helpful and friendly with everyone, but she is extremely humble. She never seeks attention for what she does, but instead, focuses on others accomplishments. Marissa is constantly going out of her way to help others and encourage them to be the best they can be. Marissa has maintained close to a 4.0 GPA all while participating in three varsity sports, leading the school as Student Body President, serving as a member of several clubs and National organizations, and most of all her dedication to serving others in a Christ like manner. Marissa empitomizes what a student athlete is: dedicated in the classroom and in her sport, determined to improve in al facets of her life, and impactful to all those that she comes in contact wtih. 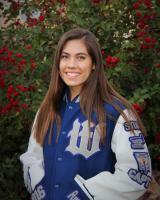 Marissa plans to attend the University of Northern Colorado to pursue a degree in athletic training. 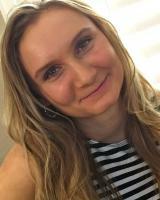 Livia's passion for the theatre program was evident from the beginning of her time at Sabino High School. She is a very energetic and personable student, and approaches all of her assignments and projects in the Drama program with those qualities. She is always a positive contributor to any group she is in, often taking on a leadership role and going above and byond what is expected of her. Livia possesses a good amount of talent, creating believable characters on stage while accepting both praise and criticism with grace. Outside of the classroom Livia has been involved multiple extracurricular activities. She participated in cross country, swimming, track & field, soccer and was a member of the Improv Club. Livia has strived to not only be involved in many acitivites but committed to be the best that she could at all she does. She is a true team player and supports her teammates and coaches unconditionaly through the good and bad days. In addition to her extracurricular activities at Sabino High School Livia has attended the USMC Summer Leadership and Character Development Academy, been the Vice President of the Boys Scouts Association Venture Crew 141, attended the National Youth Leadership SUmmit summer camp and competed in the Wounded Warrier Half Marathon to raise money for our nation's wounded warriers. Livia has accomplished many things during her high school years and has done it all while maintaining a 3.9 GPA and graduating in the top 25 students of her class. She has demonstrated a strong work-ethic, leadership, academic integrity and the ability to serve others. Livia plans to attend either the University of Southern California or the University of San Diego. She plans to pursue to become a Naval Systems engineer or a pilot. Drew has been a member of both the theatre program and improv club at Sabino High School since his sophomore year, serving s the improv club officer during his senior year. Drew is a hard-working, thoughtful and creative student who has contributed a great many positive things to the Sabino program over the past three years. He has a tremendous amount of talent on stage and possesses a natural stage presence. He workds hard to get his lines and characters down well before any deadlines. He was awarded the title role of Macbeth in his final production at Sabino High School. From an academic stand point, Drew has earned a 4.19 GPA which ranks him number fourteen in his class. He has taken many rigorous courses that have helped prepare him for college. He took two advanced placement courses all while participated in two sports. Drew has volunteered to be a peer tutor logging many hours during the 2013-14, 2014-15 and 2015-16 school years. Additionally, he volunteered for Tanque Verde Little League, Ronald McDonald House and the Tanque Verde Soccer Club. While at Sabino, Drew participated in multiple sports, including, cross country, track & field, wrestling, soccer and baseball. He was a varsity athlete during his senior year in both tennis and track & field. The potential for a successful future is clearly evident in Andrew's high school accomplishments. He is a good role model and a conscientious student. He is efficent, networks with peers, seeks new experiences and is an impressive individual. 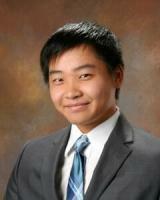 Andrew plans to attend the University of Arizona to study engineering. Amanda is in the top one percent of her class at Westview in a class of almost 650 students. She is a National Merit Hispanic Recognition Scholar. She was the Student Body President her senior year and previously held the Class President title since her freshman year. She held office in National Honor Society and was the Cheer Captain. She is recognized as the January 2016 Fox Sports Taco Bell Athlete of the Month and serves on the board of the Superintendent's Advisory Council for the Tolleson Union High School District. Amanda gives countless community service hours to the Homeless Youth Connection in Avondale, Arizona. Not only does Amanda hold a high GPA, volunteer her time and continue to be involved with her school - she has participated in three varsity sports while at Westview High School. 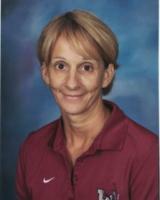 She held title of team captain for track & field and pom & cheer for most of her time at WHS. She particated on the swim team as well. Beyond her rankings, awards and leadership in Student Council, Amanda is a young woman who sincerely wants to make the world better, yet she knows what monument task this presents. It is this vision and dedication that allows for such respect amongst so many. Amanda is undecided where she will attend college but she would like to study international relations or national intelligence and security. Natasha displays a dedication to academic and personal excellence to a degree rarely observed. Her positive attitude, exemplary sense of integrity, and energetic spirit have greatly enriched the Xavier commuinty the past four years. She is an achknoledge leader on and off campus who has earned the respect and admiration of faculty and students with her universal appeal. From serving as president of the Students for Social Action Club to leading a simulated legislature of peers as Governon of the YMCA Youth and Government to working with civic learders as Presidt of the Scottsdale Mayor's Youth Concil, Natasha exhibits natural leadership qualities that have only become stronger as she has matured. Natasha's achievements are all the more notable when one considers that she elects to take the most rigorous acadmic courses offered at Xavier, competes regularly as a member of the Speech and Debate team, and devotes twenty hours monthly to study Bharatnatyam, a form of Indian classical dance. Natasha is an astute, diligent, focused, conscientious, mature and responsible young woman. She is a student with natural and genuine intellect and aptitude. Natasha is undediced where she will attend college but she plans to become a lawyer. Pratyush Ambadi is an exemplary young man who knew from the time he was a freshman that he wanted to be valedictorian and he has done everything in his power to make that dream come true. As a member of the speech and debate team, Pratyush has diligently worked to hone his craft. He has become an articulate young man who can express his opinions in an intellectual and respectful manner. As a senior member of the team, he also mentors the younger members, providing support and help as they need. Pratyush is an active member of the Ecology Club that is responsible for the school wide recycling program at Mesquite. He also participates in many community service activities through National Honor Society. 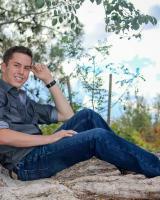 He is also very involved with music both at Mesquite High School and with the East Valley Youth Symphony. 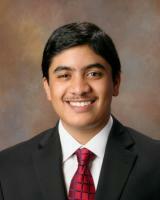 Pratyush is ranked third in his class and has earned an impressive 4.79 weighted GPA. His intelligence, academic potential and determination are definitely what sets him apart from his peers. During his time and MHS he was able to find a healthy balance for achieving his academic goals as well as spending numerous hours volunteering with school activities and within the community. Pratyush has not yet decided where he will attend college but he plans to take a path in medicine. Ruth is what every teacher, coach and school leader would like to have in a student-leader. She is naturally gifted as both an athlete and a scholar. Her humility is what sets her apart as she is always about others, never about herself. She brings a positive attitude to each activity and she spends much time encouraging others and helping them reach their potential. Another aspect of Ruth that truly stands out is her perseverance. She is not dismayed when things are tough. She is always able to keep her emotions in check, control her attitude and keep working harder to reach a goal. She has known failure and success and she understands that failure is not a problem as long as she learns from it and keeps pushing forward. Ruth graduated with a 4.0 GPA and tied at number one of her senior class at Arizona Lutheran Academy. 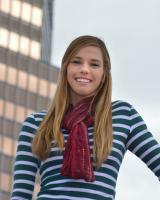 She participated in three varsity sports for most of her high school years; volleyball, basketbal and track & field. Not only is she an outstanding athlete she participates in choir, piano and band and has since her freshman year at ALA. Ruth served at the team captain her senior year for basketball and track & field and has served as the team captain for volleyball since her sophomore year. She has recieved nurmurous athletic honors for all three sports and was selected as the senior class speaker for graduation. Her drive to be excellent in all that she does has earned her the respect of her peers, coaches and teachers. Ruth plans to attend Martin Luther College to study elementary and secondary education. She also hopes to participate on the volleyball team and in the choir program. Jeremiah is a multi-talented young man. He carries a 4.0 GPA and balances education with athletics and plays major roles in multiple clubs and organizations. This includes Student Council, Student Body President, Class President, FBLA, National Honor Society, NHS Vice-President, and Skills USA Construction Trades President. Jeremiah takes the title of student athlete very seriously. He is a student first and athlete second. He has been at the top of his class and will graduate with a 4.0 GPA. He was warded the President's Gold Award, and has exceeded in all three areas of the AIMS exam. Jeremiah's hard work, dedication and leadership abilites are traits that he shows in all aspects of his life. 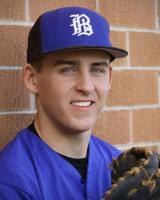 He has been a varisty football and baseball athlete all for years at Bagdad High School. Playing a major role in the football teams three section championships and a starter on two state runner-up teams. He has also contributed to the baseball teams section championships and three state playoff teams. More than his talent Jeremiah is a team player who values all of his teammates, coaches and officials, as well as his opponents. 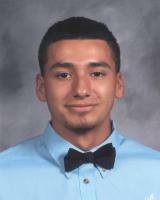 Jeremiah plans to attend Arizona State University to study civil engineering. Sarah is an exceptional athlete. As a soccer player, she is a four-time AIA All-Section, three-time AIA All-State, former AIA palyer of the year and Arizona Daily Star First Time All-Southern Arizona performer. She is the career leader in goals at Desert Christian and has been offered a soccer scholarship at Colorado Christian University. In addtion, Sarah holds the school record for the 400 meeter dash in track and this year will play number one singles and doubles on the tennis team. Sarah has played a sport in every season during her four years at Desert Christian. Being a three sport athlete she will earn the Diamond Eagle Athletics Award before graduation. Sarah has been an officer for three years in the Fellowship of Christian Athletes program at Desert Christian and this has helped improve her leadership skills. 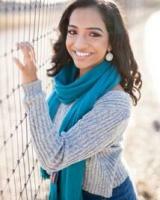 She held the title of President of the National Honors Society, and has an very impressive academic resume. During her senior year, Sarah helped create multiple opportunities for student/teacher community interactions by organizing two-step classes and socials. Students of all grades had a change to have fun and to build meaningful relationships with each other and their teachers. Sarah will certainly excell in whtaever academic program she chooses, not just because she is a caring person, but because she puts forth honest and consistent effort in all that she does. 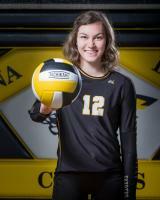 Sarah plans to attend either Colorado Christian University or Grand Canyon University to study Physical Therapy. Drew had dedicated himself to being the best he can be in every aspect of his life. He puts in extra time and outworked his classmates/teammates to be sure he was the most prepared and at the pinnacle of whatever he was endeavoring to do. Academically, he devotes the time necessary to achieve the highest marks he is capable of attaining. Not only does he focus greatly on his academics and athletics he is well-rounded in that he participates in choir, Student Government, National Honor Society, FCA and Student Ambassadors. Drew has many opportunities for leadership on the Northwest Christian campus. In Student Government he truly aims to serve the Student Body and meet their needs apart from his own. On the athletic field/court, he cares very little about his stats and more about making those athletes around him better. He helps the team as a whole reach its' potential. He plays the game with such intensity, giving everything that he has for his coaches and his teammates. He is very well respected among his peers. Drew plans to attend either Whitworth or Redlands to play football or baseball or will attend NAU on a full acadmic scholarship and walk-on for football. Drew plans to study sports medicine at any college he attends. Makayla is an AP scholar with honor, Triple Impact Competitor WInner, First Team Arizona All-Academic for Basketball, and a National Honor Society member, while maintaining a GPA of 4.72. These acadmic milestones are even more impressive when you consider her basketball awards. Makayla was the District Player of the Year, Team MVP and was named Honorable Mention All-state in Arizona as a junior. Her sincere commitment to service is reflected in her involvement with the Feed My Starving Children (FMSC) organization. Makayla has started her own business in which she bakes and sells bread with all proceeds going to the FMSC. She has currently donated over $5,000. Her involvement fuels her desire to start her own non-profit business. She wants to eliminate world hunger with not simply money, but also by educating others about the plight of malnourished children. With all of her academic and athletic achievements, the opportunities to have basketball scholarships was a relatity that she chose to forego to attend Notre Dame. Makayla has a deep passion and love for basketball, but her true passion is to use her education to achieve her goals of service and help those in need around the world. She has a desire to not just acknowledge the problem, but be a part of the solution leading with post passion and conviction. Makayla plans to attend Notre Dame where she will pursue a degree in business. 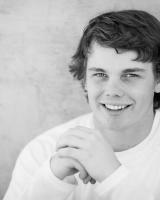 Weston has been an athlete at Coconino all of his high school career and has participated in both football and track & field. Not only has Weston maintained a 4.0 GPA , he has also been involved in many other activities in and out of school. Some of the other activities are Fellowship of Christian Athletes, National Honor Society and Operation Christmas Child, just to name a few. Weston involves himself in a tremendous amount of volunteer opportunites as well. He helps out with youth soccer and basketball as a coach and the Arizona Antelope Foundation repairing fences in rural Arizona. Maintaining a 4.0 GPA, it is easy to see that Weston takes his education quite seriously. He has been able to hold this GPA all while being involved with one of the more difficult programs on the Coconino campus. This program is known as the Coconino Institute of Technology (CIT) and focuses on technology and qualifies for a career and technical education credit. 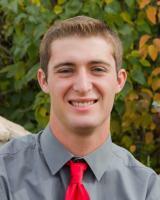 Weston has participated in football and track & field since his freshman year at Coconino. During his time participating in these sports, Weston has demonstrated leadership, respect and determination. His talens on the field of competition have led him to become one of the most distinguished athletes at Coconino High School. Along with his two leadership awards, Weston has earned all-section awards twice. He always brings to the sport the same drive and determination to do his very best no matter what. Weston continued to show equal persistance and dedication as both athlete and scholar. Weston plans to attend Grand Canyon University to study engineering. 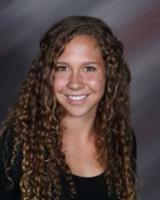 Joelle has attended Bradshaw Mountain High School since her freshman year, participating in volleyball, soccer and track. She has been the ideal student-athlete, representing the campus of Bradshaw Mountain to the highest degree. Joelle has consistenly shown the willingness to become a better student and ahtlete. She maintains outstanding grades in the classroom and excels in all three sports. Joelle is the first to arrive and the last to leave all all events, always asking how she can improve her grades and performance on the field/court. She is dedicated to her school, team and friends; all students look up to her as a mentor and leader. Joelle leads by example and is dedicated to achieving greatness in all aspects of her life. 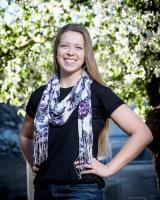 Joelle is the top student-athlete and valedictorian at Bradshaw Mountain High School. She graduated with a 4.706 GPA and ranked number one out of her class of 372. She has always represented herself with high character and integrity, and has all the qualities of a great leader. As a result of her leadership, the Bradshaw Mountain volleyball, soccer and track programs have been a postitive experience for all. Joelle is supportive of others and their strengths, laughs easily with them, and encourages them to take the lead. She willingly helps others and is keenly perceptive to their needs, allowing them to accept her assistance with dignity and grace. Joelle has not yet decided where she will attend college or what she plans to study, however, she does plan to play soccer wherever she may end up. Taylor is young lady of unmatched talent, ability and joy that is evident not only in the pool, but in the classroom, as well as with her friends and peers. Taylor is a swimmer with unquestionable ability. Throughout her high school years, Taylor has enjoyed numerous victories, including the mostrecent of winning both of her individual events (100 butterfly and 100 backstroke) as well as helping secure a first and second place inish for her relay teams at the Arizona State meet. Her success has not only been limited to her senior year, she has earned multiple top 8 finishes her freshman year, and top 3 finishes both her sophomore and junior years. Taylor displays outstanding sportsmanship, not only to those of her team but to her greatest rivals and opponents. While she has experienced wild success, she remains humble and always has a minute to spare for teammates, friends, coaches, parents and reporters. As a student, Taylor has challenged herself academically choosing to take courses that provide a tremendous amount of rigor. 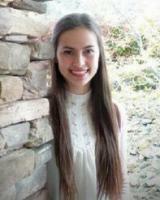 She enrolled in AP World History, AP Unitied States History, AP English and AP English Literature. She has managed to compile a 3.8 unweighted GPA all while maintaining a year-round swiumming workout schedule. Not only does Taylor excel in the pool but she is a very talented artist. She has an commplished background in video photography and short-film production. Taylor has produced short films for Sabino's school district media director to share on the distirct website. Taylor is a good role model and a conscientious student. She is efficient, networks with peers, seeks new experiences and is an impressive individual. Taylor plans to attend the University of Arizona where she will pursue a degree in Information Science and Art with a minor in Film and Prodcution. Julio has always distinguished himself as a bright, energetic and coachable young man. His work-ethic and love of the game of football is second to none. He was a starting varsity quarterback for three years at Flowing Wells High School. He helped lead his team to a combined record of 16 wins and 5 losses his junior and senior years. He has a career 2,700 passing yards and 26 touchdown passes which were instrumental to the schools success. Not only was Julio a starter on the football team, he was a starting shortstop on the baeball team for three years as well. As a well rounded student-athlete, Julio has been involved in the fine arts program as a first chair violinist, selected for the leadership program in Junior and High School, and carries a 3.8 GPA. Julio is popular among students, teachers and coaches alike. He works well independently but is also someone everyone wants to workth with. He is mature, resourceful, of good character, generous and kind. As a leader on his team, he is always thinking of others and what he can do to help them grown as athletes and individuals. Julio is undesided where he will attend college, but he hopes to study business management and participate in either football or baseball. Caden is a leader in every aspect of the term. Whether it is at home, in the classroom, or in club/athletic events there is no one better at all three. In the classroom Caden has been able to keep up on his academics by maintaining a 4.0 GPA and graduating second in his class of over 400 students. Caden has participated on the swim team all four years at Lake Havasu High School where he has earned numurous awards and honors. in 2014 and 2015 he was named the Lake Havasu High School Swim Team Most Valuable Male Athlete as well as the Gila Valley Region Most Valuable Male Swimmer. Caden has been a varisty letterman since his freshman year as well as earning an honor of being named All-State First Team since 2013. All these wonderful honors and still Caden continues to give back. Since the time he enterned into high school, Caden has given his time back to his community. He has participated in blood drives, street cleanup, Relay for Life and took a Rotary Club Interact Mexico service trip for two days. He served as a community service committee chair ehlping to organize and execut fundraisers and awareness days around his LHHS campus. Caden has put in over 300 community service/volunteer hours during his high school years, all while participating on the varsity swim team and keeping his 4.0 GPA. Caden plans to attend Concordia University Irvine where he hopes to participate on the swim team all while pursuing a career as an interventional cardiologist. Sharon Vanis is a dedicated, hardworking coach, mentor and leader. Sharon is a class act leader in many capacities at Hamilton High School. Sharon has proven to accept and execute the challenges of a leadership position, which she has done at Hamilton and in the community with no hesitation. Throughout her career she has demonstrated the ability to lead athletes to the next level and to especially devote her knowledge and expertise to the female athletes on campus. Along with pushing the athletes, she leads her peers too, by demonstrating dedication, perserverance and enthusiasm for the task at hand, she will not settle for mediocrity. She drives people to work harder and encourages excellence in all of Hamiltons' programs. It is evident that she is respected not only by the athletes in the volleyball program but also by other coaches, teachers and student-athletes. Oree Foster has worked as a sports writer for 40 years, covering high school, college, professional and community sports. He is currently a Sports writer with the Navajo Times and a graduate of Window Rock High School. Oree enjoys giving exposure to the student atheletes and schools in the 3A North and 2A North Conferences. He covers many schools that are on the reservations and truly has a passion in watching the student athletes become successful at the local and state levels. Oree has worked with many current and former coaches in all sports from the Northern part of the state.